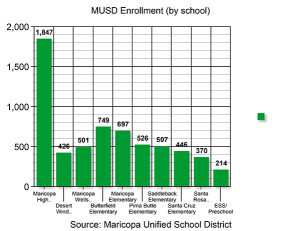 A record-high 6,283 students are enrolled in the Maricopa Unified School District to start the year, and that number is expected to grow by October. 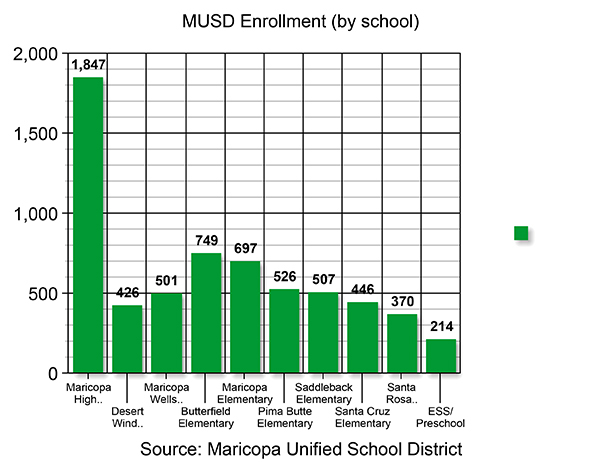 The enrollment for the district has consistently grown each year since 2010. 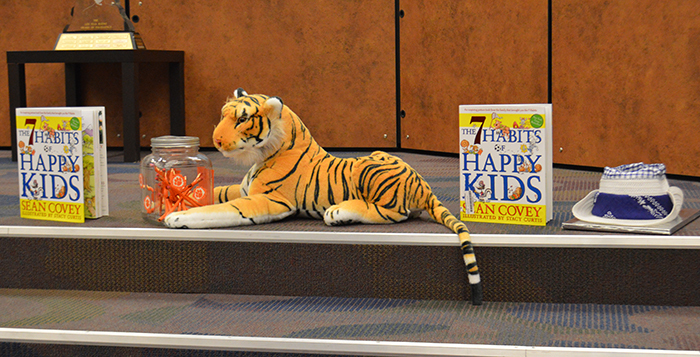 The 2014-15 school year was the largest student population at 6,275 before this year began. Typically, more students enroll by the final student population count in October, so the district is expecting enrollment to climb during the semester. The large student body can result in unbalanced classes, but the school has until the 10th day to move students to other classes to keep the ratios fair. Once the adjustments are made, it is easier to add incoming students to existing classes. The first MUSD Governing Board meeting in a month went relatively smoothly for the first half of the meeting. The board heard a presentation from Master Teacher Heidi Vratil regarding the district’s participation in the Teach to Lead Summit in Washington, D.C. MUSD was one of just 26 districts chosen by the summit to build a plan for their idea of providing support for new teachers in an effort to stop the attrition rate of nearly 50 percent. The summit helped the teachers develop a plan to progress their mentoring program. Starting with building support in the community and ending with the development of a desired outcome for the program, the summit provided the ground work for MUSD to move forward with the program. The Governing Board also unanimously approved most items on the agenda, including state law clarification for teacher conduct with disruptive students, graduation requirements, student supervision and the updated personnel schedule. The only issue that seemed to cause a divide among the board members was an item taken off the personnel schedule for discussion. A teacher from the 2014-15 school year broke his contract in the fourth quarter of the school year. According to school policy, that teacher is responsible for repaying the district for the expenses his departure may have caused. In this case, the amount owed was $2,500. It was the recommendation from the Human Resources Department to decrease the amount owed to $625 due to extenuating circumstances. However, the initial vote was split with Gary Miller and Rhonda Melvin voting to approve the decrease, and Torri Anderson and Governing Board President Patti Coutre voting to keep the initial amount (AnnaMarie Knorr was not present). Miller felt the board needed to respect the recommendation from the Human Resources Department. Because other people on the personnel schedule were waived from their contract cancelation fees, he wanted to maintain consistency, he said. After a re-vote, the fee was kept at $2,500 by a vote of 3 to 1. Miller remained opposed to the fee amount. The Governing Board also approved the board evaluations due in November. The evaluation given to the board’s stakeholders passed unanimously, but the board self evaluation passed by a vote of 3 to 1. Miller was once again on the opposing end, feeling further discussion was needed. The MUSD Governing Board will meet again Aug. 26 at 6:30 p.m.